Taking a math course, they need to learn math vocabulary associated with the area of study, such as "isosceles" or "equilateral" when learning geometry. Learning a foreign language, they need to learn the vocabulary from the ground up, starting with basic words and moving into more advanced vocabulary and sentence structure. Within an English class, English speaking students need to expand their grasp of their native language by learning new vocabulary. Because of the widespread importance of learning vocabulary, it is a good idea for every teacher to know how to effective strategies for teaching vocabulary to students. Helping students learn a series of important related words before moving on to new vocabulary. Activities designed to teach students new vocabulary should draw on one or more of these concepts in order to ensure maximum value. There are several games and other fun activities you can do with students to help them to learn new vocabulary. You can encourage students to participate in Dictionary Races. Give each student a series of words to look up in the dictionary and a copy of a dictionary. Have the students look up the words and write down the definitions. The first student to find and write down all of the definitions wins. Ask each student to select a word and write a sentence on the board with that word. Give the students a series of related words, and have these sentences tie together as a story. Ask one student to begin the story using the first sentence containing a vocabulary word, and go around the room, having each student build upon the story using the next word on the list. Ask the students to identify prefixes, suffixes or roots contained in the words they looked up. Of course, before doing this part of the game, you will need to ensure that each student knows exactly what a prefix, suffix or root is. Turn this into a contest as well, awarding a prize to the student who can identify the most prefixes or suffixes from your word list within a given period of time. Play this series of games repeatedly with different word lists, mixing in some of the old words each time with some of the new words. With repeated exposure to the existing words and a fun and engaging atmosphere in which to learn new words, students will be able to commit the words to memory more quickly and will have fun in the process. Students can keep these lists of words, sentences and prefixes/suffixes in a special vocabulary notebook which they review periodically. This will allow them to build upon their knowledge of vocabulary and to slowly learn new words throughout the course of the year. 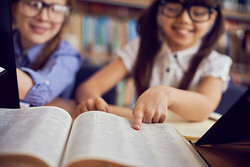 By referring back to existing word lists and definitions in addition to looking up new words, students will experience repeated exposure to the words that they have looked up, ensuring that they commit those words to memory. "Activities for Teaching Vocabulary." YourDictionary, n.d. Web. 25 April 2019. <https://education.yourdictionary.com/for-teachers/activities-for-teaching-vocabulary.html>. Vocabulary is simply the ability to know the meaning of words and use those words in context. Students learn vocabulary in a number of different arenas. For example, if students are:Taking a math course, they need to learn math vocabulary associated with the area of study, such as "isosceles" or "equilateral" when learning geometry.Learning a foreign language, they need to learn the vocabulary from the ground up, starting with basic words and moving into more advanced vocabulary and sentence structure.Within an English class, English speaking students need to expand their grasp of their native language by learning new vocabulary.Because of the widespread importance of learning vocabulary, it is a good idea for every teacher to know how to effective strategies for teaching vocabulary to students.